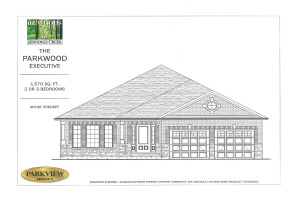 Welcome To The Creekwood Executive Model In The Sought After Development Of Jennings Creek. This 2 Bedroom 2 Bath All Brick Bungalow Built By The Award Winning Parkview Homes, Boasts Attractive Curb Appeal With A Combination Of Brick And Stone Finish, Black Aluminum Railing On Front Porch. Interior Gives You That Open Concept Main Floor Living That You Are Looking For. Spacious Master Boasts Full Ensuite With Double Sinks And Upgraded Tiling. Beautiful Upgraded Kitchen Opens Onto Great Room. Main Hall And Great Room Boast Hardwood Floor With Railing Custom Stained To Match. 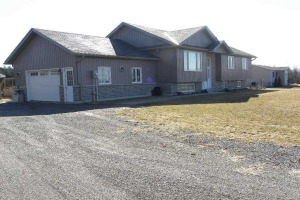 The Perfect Home For That Empty Nester, 3 Great Homes To Choose From.